Van drivers will be able to operate heavier hydrogen, electric, or gas-powered vehicles without having to apply for a new licence, as part of moves to improve air quality in towns and cities across the country. The reforms are a step towards the government’s aim for nearly all cars and vans on our roads to be zero emission by 2050. Currently, a motorist with an ordinary category B licence for a car can drive a van weighing up to 3,500kg. Cleaner vans, especially those powered by electricity from batteries, are generally heavier than conventional diesel vans because of the battery they carry. This reduces the amount of goods they can carry or means van drivers have to apply for a category C licence with the associated costs and medical report requirements. The Department for Transport published plans on 26 July 2017 to allow motorists to drive vans weighing up to 4,250kg if they are powered by hydrogen, electricity, natural gas, or LPG. Road traffic estimates show there has been a rapid rise in light goods vehicle traffic over the last 20 years, in part powered by the growth in internet shopping. In 2016 vans clocked up 49.1 billion vehicle miles – an increase of 23% when compared with 2006. Vans spend much of their time driving around our towns and cities and over 96% of them are diesel powered so making them greener is essential for people’s health and the environment. A public consultation is now open on the proposed new measures and will last 12 weeks, closing on 18 October 2017. These measures will help level the playing field by addressing the payload penalty which currently puts operators of cleaner vans at a commercial disadvantage compared to operators of equivalent conventionally-fuelled vehicles. Original source of the News can be found here! 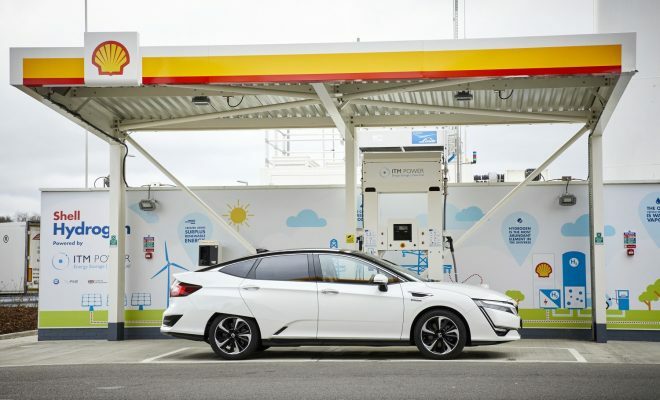 ITM Power PLC has anounced (on 11th July) that it had signined a contract with Honda (UK), a subsidiary of automobile company Honda Motor Co, under which Honda will purchase hydrogen at GBP 10.0 per kilogram. The contract covers fuel dispensed across ITM Power’s hydrogen refuelling network. The refuelling network has been financially supported by Innovate UK, Office for Low Emission Vehicles (OLEV) and the Fuel Cells and Hydrogen Joint Undertaking (FCH JU). This is the seventeenth fuel supply contract for refuelling fuel cell electric vehicles ITM Power has signed. Honda joins Toyota GB PLC, Hyundai Motor UK Ltd, Commercial Group, Skanska, UlemCo Ltd, Arval UK Ltd, UK Government Car Service, Arcola Energy, Johnson Matthey, Europcar, The Science Museum, JCB, Anglo American, Green Tomato Cars, Yorkshire Ambulance Service and Northern Gas Networks as a fuel customer. ITM Power is currently rolling out a network of 10 hydrogen refuelling stations in the UK of which 4 are now open for public access. Each station produces hydrogen on site via ITM Power’s rapid response electrolyser system, and can refuel a fuel cell electric car in three minutes, providing 300 to 420 miles of clean emission driving, without compromise to drivers’ normal refuelling routine. According to the new research report by Global Market Insights the Fuel Cell Market size is expected to reach USD 25.5 billion by 2024; driven by environment friendly and better alternative than existing options. Global Fuel Cell Market size was more than 180,010 units for 2015 and is predicted to register more than 24.1% of CAGR by end of 2024. Government support to create hydrogen power stations is predicted to drive the demand for fuel cell technology. Rise in vehicle production by automakers has favorably influenced the industry and acquired focus of international bodies on fuel cell electric vehicles. Further, strict rules promoting zero emission automobiles along with growing public transport is projected to favorably affect global industry growth during forecast timeline. Fuel cells are preferred over traditional sources of energy due to low carbon emissions and less noise. Normal fuel cell items produce less sound while functioning as compared to traditional sources of energy. Further, stationary fuel cell systems require less space as compared to other sources of clean energy and this have driven the growth of stationary fuel cell market globally. Growing demand for portable power source is predicted to drive industry demand during forecast timeline. Global industry is segmented into various products like direct methanol fuel cell , solid oxide fuel cell and proton exchange membrane fuel cell. Direct methanol fuel cell segment is predicted to register more than 4.1% of CAGR. These cells find their use in portable power source where energy density and power are more vital than efficacy. Solid oxide fuel cell (SOFC) segment is predicted to touch $3.1 billion mark by end of 2024. High level of efficacy, low carbon emissions, elasticity, stability and comparative less price which is predicted to boost the demand for this fuel cell type. Proton exchange membrane fuel cell produced revenue of more than $2.1 billion for 2015. This product is extensively used in stationary and transportation applications. In addition to this, it also provides high electric efficacy and substantial power to area proportion & is easily accessible across various watts making it a preferable choice in transportation application. The industry is segmented into various applications like stationary application, portable application and transportation application. Stationary application contributed $2 billion for 2015 and it dominates the application segment due to its environment friendly features and efficacy. It is mainly used as backup power station in hotel, residence, school, commercial building and hospital. Portable application segment is predicted to register more than 7.1% of CAGR during forecast timeline. Growing demand for portable charger as power source for consumer electronic items like camera, laptop, cell phone, smart phone and iphone are predicted to promote portable fuel cell market trends. Transportation application segment is predicted to contribute $1.31 billion in terms of revenue by end of 2024 registering a CAGR of more than 22.11% during forecast period. Increase in research & development activities by firms along with growing government support to integrate effective technology in automobiles like truck, car and bus are predicted to promote global fuel cell market outlook in this segment. Global industry is segmented into key geographical regions like North America, , Europe, APAC, MEA and Latin America. North American industry produced revenue of more than $891 million for 2015. U.S. contributed maximum revenue to the North America fuel cell market. Regional industry demand is mainly promoted by constant monetary support from DOE (Department of Energy). Further, favorable government policy promoting renewable power to regulate carbon emissions is the key factor stimulating industry growth in the region. European industry is predicted to register moderate CAGR of more than 3.51%. Commercialization of fuel cell electric vehicles along with huge consumer base in region is predicted to promote industry growth during forecast timeline. Drifting highlight towards hydrogen as transportation fuel in countries like Norway and Denmark can supplement the growth of the industry in Europe. APAC fuel call market share is predicted to grow up to $14.1 billion by end of 2024 registering CAGR of more than 24.1% during forecast timeframe. Strict government norms along with increasing use of hydrogen as fuel in vehicles can positively contribute towards regional industry expansion. Key industry players profiled in the report include Nedstack Fuel Cell Technology, AFC Energy PLC, Aisin Seiki Company Limited, Arcola Energy, Horizon Fuel Cell Technologies, Hydrogenics Corporation, Panasonic Corporation, Ballard Power Systems Incorporation, Bloom Energy, Plug Power, UTC Power, SFC Energy AG, Toshiba, Ceres Power Holding, Nuvera Fuel Cells, Arcola Energy and HES Energy Solutions. Key industry players are using key business strategies like mergers & acquisitions to reduce competition and increase their geographical presence. 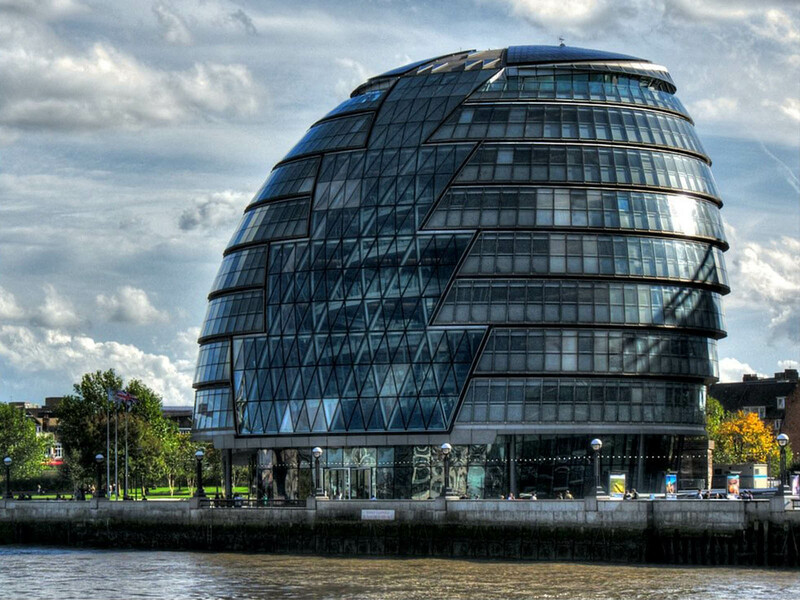 The H2FC Supergen launched three White Papers at the London City Hall on 17th March 2017. Watch the entire event here. In front of an audience of Government, Industry and Academic representatives, authors from leading UK universities presented their findings on The Role of Hydrogen and Fuel Cells in i) Delivering Energy Security for the UK, ii) The Future Energy Systems and iii) Creating Economic Impact for the UK. 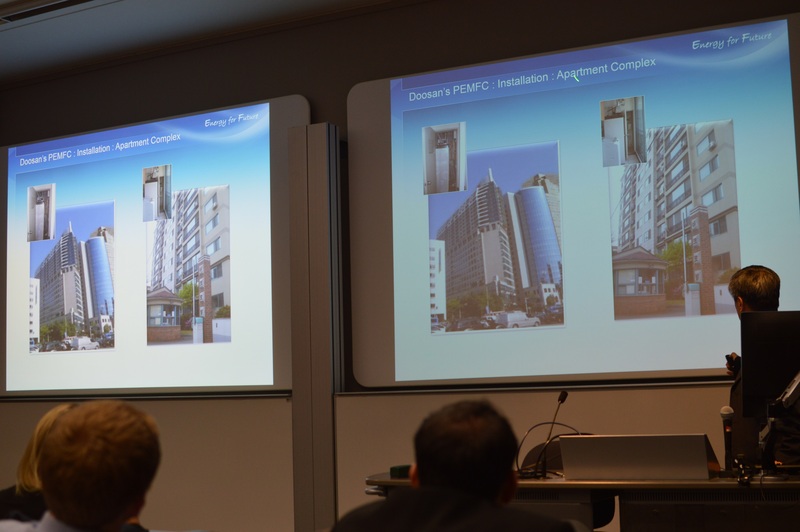 The H2FC SUPERGEN had its third annual Research Conference at the University of Bath from 14th to 16th Dec. 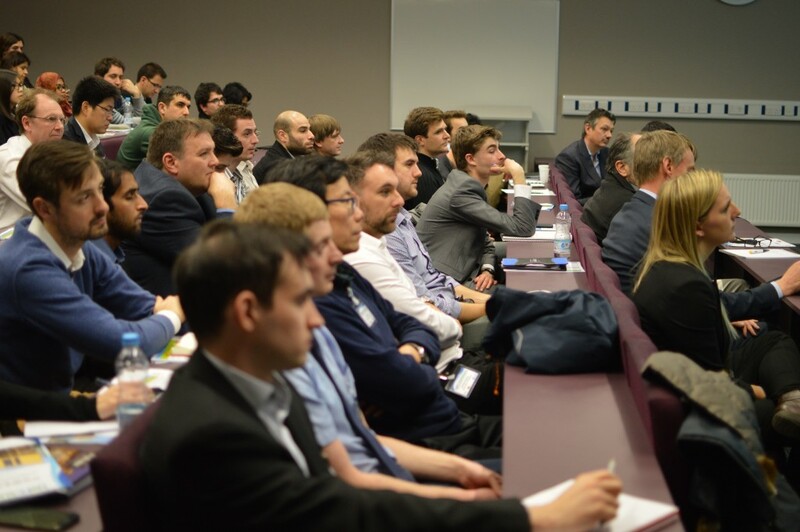 The conference was attended by 125 delegates, with participation of 40 PhD students, 60 researchers/academics and 15 industry figures and government advisors working across the field of hydrogen and fuel cells. The conference included insights on the future of the industry from key representatives working in government, industry and academia. On the opening session of the conference Prof. John Loughhead (DECC’s Chief Scientific Advisor) presented the UK government’s plans for meeting the CO2 reduction targets, in light of the discussions held in Paris at the COP21 meeting in the days before the conference. Prof. Loughhead, drew attention the cost of expanding the energy electricity grid and the importance of having hydrogen in the power grid for peak demand and energy balancing. Kathryn Magnay (EPSRC, Head of the RCUK Energy Programme) presented the priorities and plans for the Research Council UK’s Energy Programme to tackle the Energy ‘trilemma’ of reducing carbon emissions, energy security and affordability. Kathryn Magnay reported that the EPSRC Spending Review, for allocating £6.4bn a year for research, resources and skills development, was under way and the results are expected to be announce early February. This year we had two international plenary session speakers Prof. Bjørn C. Hauback (Institute for Energy Technology, Head of Physics Dept, Norway), who presented the latest developments and challenges in hydrogen storage research and the specific work undertaken by his group on solid state storage of hydrogen. Prof.Chang Soo Kim (from the Korean Institute of Energy Research – KIER) presented the developments and plans for hydrogen and fuel cell technology in South Korea, with examples of applications in different areas, as well as the the research being undertaken at KIER on fuel cells. Other Plenary session speakers included directors and leaders of companies in the Hydrogen & Fuel Cell sector, who presented the work undertaken in their companies: Nick Van Dijk (ITM, Director of R&D), Subhasish Mukerjee (Ceres Power, Director, Fuel Cell and Stack Development), Ralph Clague (Intelligent Energy, Head of Systems and Architecture), Kevin Fothergill (Johnson Matthey, Commercial Director Non-automotive Business), Ben Madden (Element Energy, Director), Emma Guthrie (Air Products, Hydrogen Energy Systems, Business Development Manager) and Dmitriy Makarov (Ulster University, HySAFER centre, Hydrogen Safety & Storage). Presentation sessions on the themes of Hydrogen Storage, Hydrogen Production, Hydrogen Safety & Storage, H2FC systems, PEFCs, SOFCs and novel Fuel Cells ran throughout the 3 days. 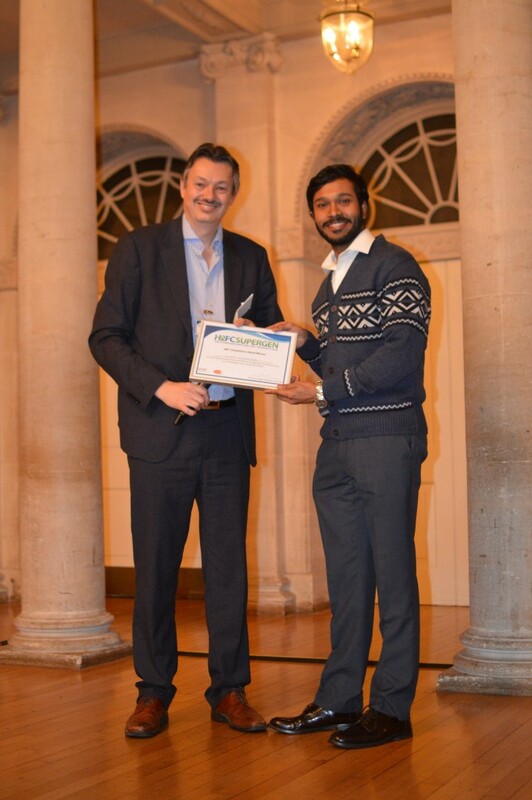 This year we had a three minute thesis presentation competition (3MT) in addition to the poster completions, which we intend on having again in Dec 2016 due to keen interest from students who want to take part in the challenge to present their research in such a concise and engaging style. 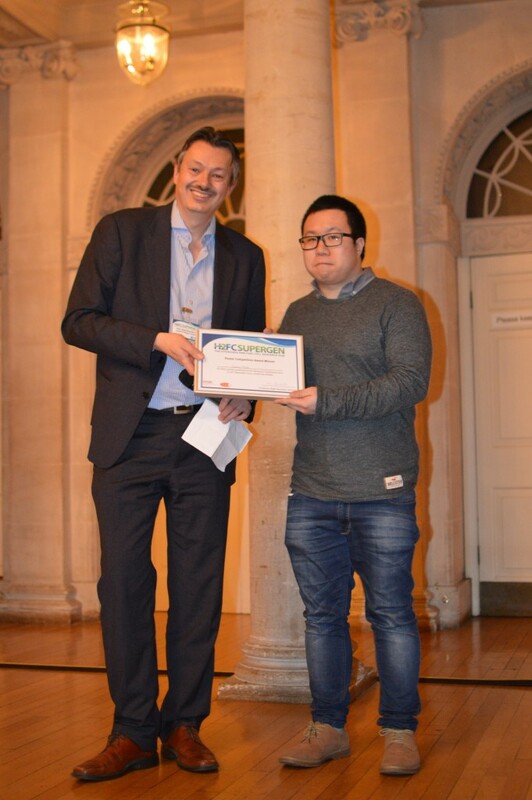 The poster and 3MT prizes were announced at the Conference dinner held at the historic Assembly Rooms in the Bath city centre. 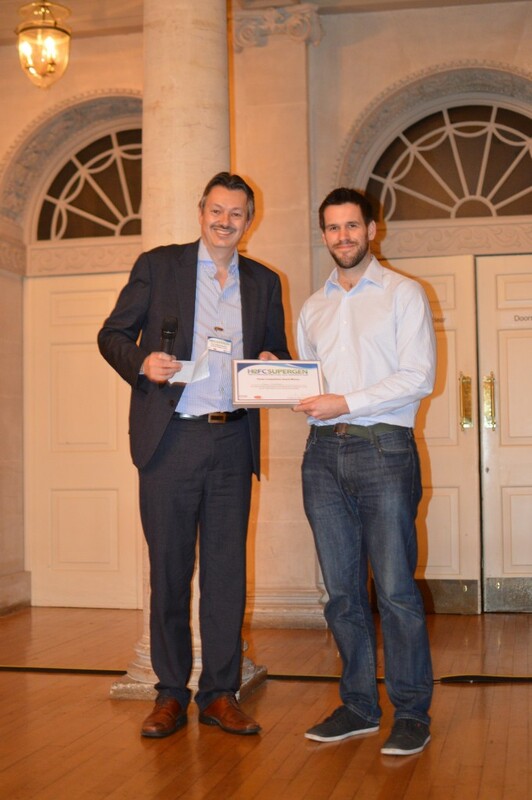 The conference which brought the UK H2FC community together had a lot of positive feedback for the quality of presentations. This conference which also provided a brilliant opportunity to network across academia, industry and government will be held again this year in December, the venue and dates will be announced in early spring 2016. The Hydrogen and Fuel Cells SUPERGEN Hub is pleased to announce the Visiting Researcher Scheme to enable researcher exchange between industry and academia, or academia and government. The aim of this scheme is to promote closer collaboration with academic research in the fields of hydrogen and fuel cells. This scheme provides funds of up to £6,000 for researchers interested in an exchange between industry and academia, or academia and government to cover the direct costs of this exchange (such as travel, accommodation and subsistence). The scheme will be open for applications until end of October 2016, but please note that limited funds are available and that the scheme will be closed once all the funds are committed. The duration of the exchange is flexible, however a minimum of 1 month and maximum of 5 months is generally expected. All spend must be completed by the end of March 2017. All applications should be submitted to h2fc@imperial.ac.uk. If you have any questions please contact Dr. Zeynep Kurban on this email. Berkeley Lab in California has just been awarded $8 million from the US Department of Energy for two of their projects: one to find new materials for hydrogen storage and another for optimizing fuel-cell performance and durability. The grant, from the Fuel Cell Technologies Office, shows that the American government is taking hydrogen as a serious contender alongside other next-generation energy technologies.